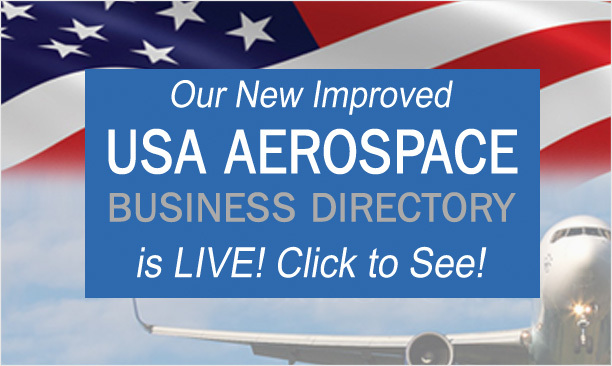 Welcome to the new edition of the USA Aerospace Directory (click here to view), your guide to enjoying - and showcasing - quality products and services produced and used by the aerospace industry. Resolve to increase your business connections this year: Last year the U.S. aerospace industry contributed $118.5 billion in export sales to the U.S. economy. The industry’s positive trade balance of $70.5 billion is the largest trade surplus of any manufacturing industry and came from exporting 64.3 percent of all aerospace production. Foreign firms are attracted to the U.S. aerospace market because it is the largest in the world and has a skilled and hospitable workforce, extensive distribution systems, diverse offerings, and strong support at the local and national level for policy and promotion. According to a recent study by the U.S. Department of Commerce, aerospace exports directly and indirectly support more jobs than the export of any other commodity. The U.S. aerospace industry directly employs about 500,000 workers in scientific and technical jobs across the nation and supports more than 700,000 jobs in related fields. Investment in the U.S. aerospace industry is facilitated by a large pool of well-trained machinists, aerospace engineers, and other highly-skilled workers with experience in the aerospace industry. This guide is all about creating connections — whether say you are in metal treatment or propulsion in the industry, or an accountant or legal expert looking to provide support services, this directory will help improve your visibility, reach and retention throughout the US and abroad, while ensuring that prospective customers can find your business so that everyone can locate the quality products, services and partners they need. Available online, on mobile apps and on self-updating CDs & USBs and print, the USA Aerospace Directory is a dynamic, social-media enabled and searchable directory, designed to provide maximum visibility. We encourage you to use it as a connection to your next customer — and we encourage you to reciprocate by doing business with fellow aerospace companies appearing in this publication. The directory is distributed via our extensive network, reaching over 5,000 exhibitors, 300,000 trade visitors, 300,000 General Public Visitors, from 100 countries covered by 3,000 accredited journalists around the world. Contact us for further information on marketing opportunities.